I don't think it would be as useful as the video selector, since there is already an easy way to take a screenshot with or without GUI, and very few people will want to change image formats each time (they will simply select it once in the player menu). Will it be possible with the new video capture system to make video files (uncompressed) larger than 4gb? 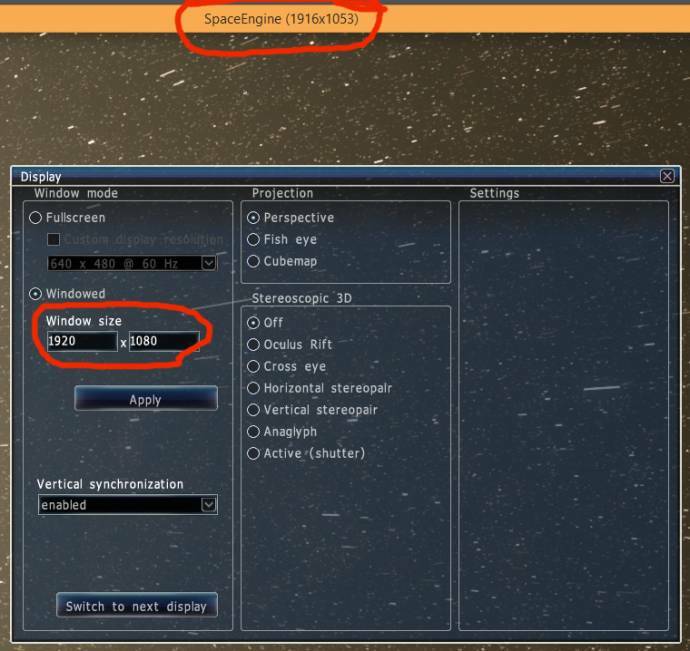 Edit: If you capture a video, SpaceEngine slows extremely down so it is hart to guess how long your video actually is. Maybe you could add an time indicator for this? Probably not, I think that's either a system or codec limitation. Maybe you could add an time indicator for this? I think there is one in the title bar if you're in windowed mode. I haven't checked in a while though. But I agree, that would be a nice feature to add. Though it is a limitation and, as such, should be dealt with, in practice the ability to save the individual frames or to use a fast lossless codec makes it almost a moot point. Even performance-wise, unless one is using fast SSDs (or perhaps even so), applying light compression is more efficient than saving each frame as a plain 24bit bitmap (as in uncompressed video). And the TGA file format is amazingly efficient at that. Should I make a similar screenshots settings menu? It will have only image format selector and a checkbox for the GUI. Another nice feature would be to have the possibility to add some tags to the screenshot file name, for cataloging purposes. I would also find it very useful if one could change the framerate of the video to 30 fps. With the current Video capture method it is only possible to record with 24 fps. As far as I know. The only hardware problem is a semi-software one: if your partition is formated in FAT32, no files larger than 4 Gb can be stored. On NTFS there shouldn't be any problems, and Fraps outputs multi-gb uncompressed files without problems. On the end, there shouldn't be any problems, but for backwards compatibility I can see why there's a upper limit. A workaround is to split the video files at the 4 Gb mark (also like what Fraps can do). No, 4 Gb is a limitation of the "Video for Windows" library I am using in SE. The time indicator is in the window header (if you are in a windowed mode). Adding it on the screen will result in recording it into the video, if you capture it with the GUI. I also added an edit box with it to the new video capture menu. I don't know how much influence you have over the capturing process but could you let the capturing stop if the 4 GB limit is reached? Because if you get accidentally over this size the video file will be unusable. The time indicator is in the window header (if you are in a windowed mode). I have just tried it, the indicator is nice but I can't set the resolution anymore to 1920x1080. 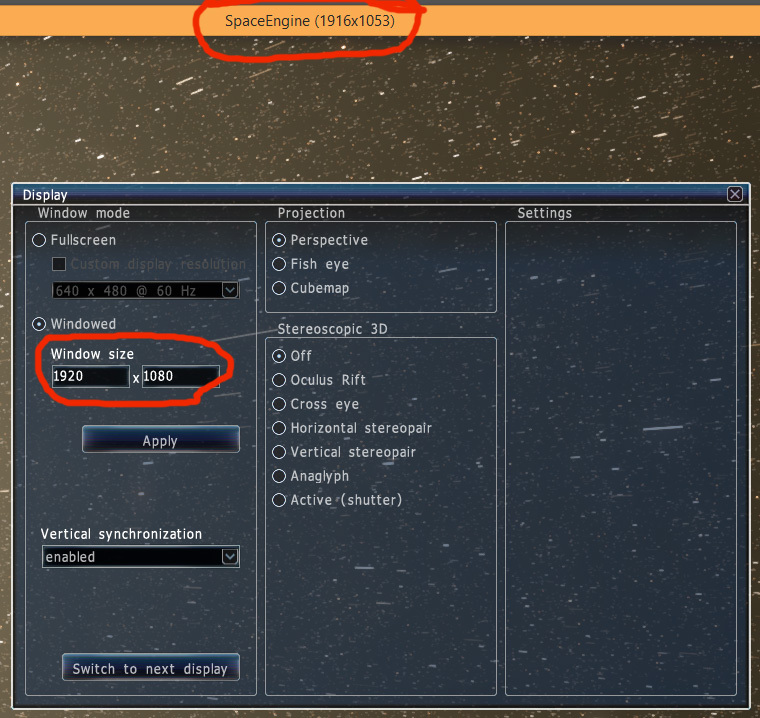 The window size is 1920x1080, the game itself is running slightly smaller. Switch to fullscreen and you'll get the full 1080p. No I can't. The library did not provide the current file size info. Windows limits the window size to the max possible value (screen resolution), but the clien area gets smaller because the window also have a borders or a header. In 0.973 this limitation will be removed. I usually record HD videos in the windowed mode, but the window is maximized. So it didn't have borders, only header and Windows taskbar. So resolution is 1920 * 1018 or similar. It is like 1080p with a small cropping. The best solution is putting full-screen, or, eventually, you can implement borderless-windowed mode. Do something changed in flares system or it's just me?